Nothochrysa capitata is one of the few orange species in the Green Lacewing family (Chrysopidae). 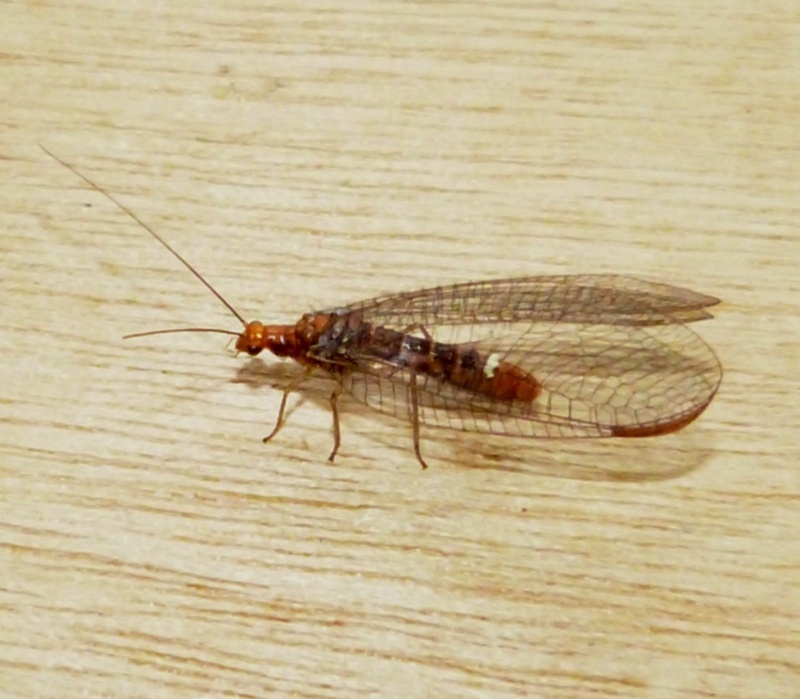 It is a large species with a wing length of 25 mm. It is sometimes known as the Black Lacewing. The creamy coloured mass near the tip of the abdomen of the Sapcote specimen is a spermatophore - a package of sperm passed from the male to the female - (thanks to Colin Plant for this). Varied habitats although typically associated with pine but with some records from the tops of oak trees. It may be attracted to light. Widespread but infrequent and local in Britain. Uncommon in Leicestershire and Rutland. 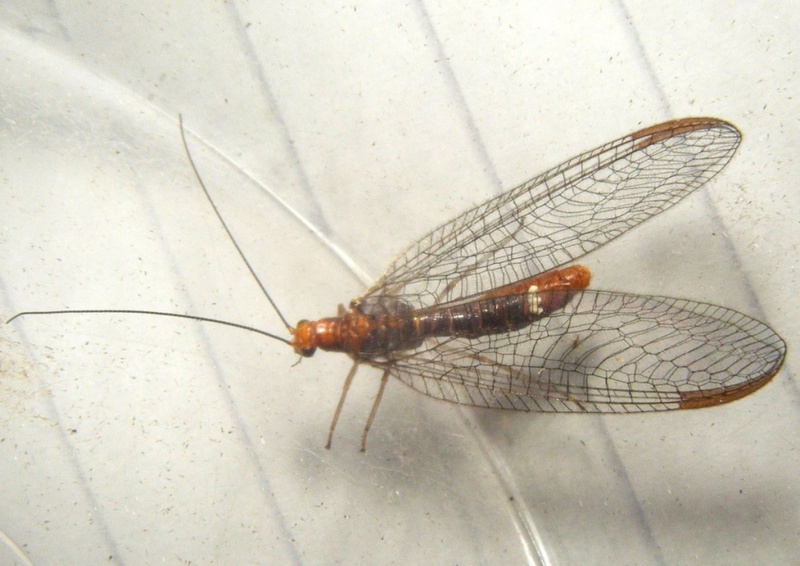 There were only 3 validated records for this species according to the 'Checklist of Neuroptera and allies in VC55' published in 2018.